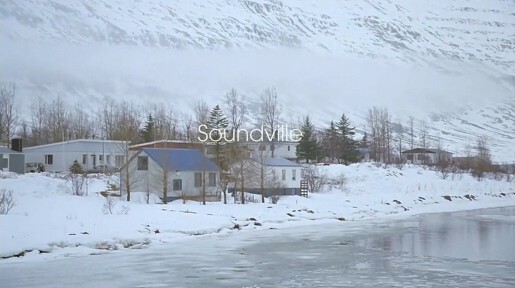 Sony is telling the story of Soundville, a village in Iceland filled with music using Sony speakers, online at www.sony.co.uk/soundville since September 29. The 805 residents of Seydisfjordur in Iceland had their village turned into an extraordinary sound-system for a week in March 2009 and treated to the sounds of Richard Fearless ( Death in Vegas ) Mum, Bob Dylan, Toumani Diabate, Roberto Goyeneche, Murcof, Federico Cabral, Guillemots, and many other musicians. The Soundville campaign was developed at Fallon, London, by executive creative director Richard Flintham, creative director Juan Cabral, agency producer Gemma Knight. Filming was shot by director Juan Cabral via MJZ, London, with producer Nellie Jordan and director of photography Alwin Kuchler, with support from Truenorth producer Rafnar Hermannsson. Post production was done at The Moving Picture Company. Editor was Neil Smith at Work Post. Sound was produced and supervised at A-Bomb. Audio post production was done at Wave Studios by Parv Thind.